Our knowledge of the B vitamin folate has been undergoing major changes in the last ten years. We have come to the understanding that folic acid, a term often loosely identified as the same as folate, is in fact a synthetic oxidized form of folate. For many years (at least since the 1940s) the ONLY form of folate used in supplements and fortified foods has been folic acid. However, the good news for health is that the folate coenzymes of 5-MTHF and Folinic Acid are now readily available! Recently, accumulated research has found that supplemental folic acid may actually accelerate cognitive decline in some older individuals. Folic acid also is being linked to increased risk of colon and rectal cancers, increased risk of childhood asthma born to folic-acid supplemented mothers, and accelerated growth of pre-existing cancers. Unfortunately, journalists and even many medical professionals still haven’t figured out that folic acid is not the same as the naturally occurring vitamin folate. Even today, much of the medical mainstream, uses folic acid and folate as interchangeable terms. But folic acid is not the same as folate! Folate is a water-soluble B vitamin that is naturally present in foods. Folates are commonly consumed through a diet of green leafy vegetables, sprouts, fruits, brewer’s yeast, and animal products such as milk and dairy products, egg yolk and liver. Formerly known as folacin, folate is the generic term for both naturally occurring food folate and folic acid. When consumed, food folates are often hydrolyzed to the monoglutamate form in the gut prior to absorption by active transport across the intestinal mucosa. Passive diffusion also occurs when pharmacological doses of folic acid are consumed. Before entering the bloodstream, the monoglutamate form is reduced to tetrahydrofolate (THF) and converted to either methyl or formyl forms. However, both of the metabolically active (coenzyme) forms 5-methyl tetrahydrofolate (5-MTHF) and 5-formyl tetrahydrofolate (also known as folinic acid) are found in foods and can enter the cells with no further modification. 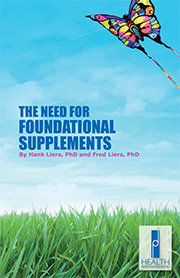 Other conditions possibly benefiting from folinic acid supplementation include: AIDS/HIV, celiac disease, cervical displasia, cleft palate, Crohn’s disease, diarrhea, gout, high cholesterol, increased fracture of chromosomes, malabsorption and gastrointestinal inflammation, megaloblastic anemia, restless leg syndrome, postpartum depression, sprue, ulcerative colitis, and vitiligo. Numerous drugs are known to inhibit the body’s ability to utilize folate, including: 1) aspirin, 2) cholesterol lowering drugs, 3) oral birth control pills, 4) antacids, and 5) methotrexate when used for rheumatoid arthritis. When taking these drugs (and many others) it is recommended that you take at least 800 mcg daily of folate, preferably as 5-MTHF and folinic acid. When taking folate it is recommended that you take adequate amounts of Vitamin B12 as methylcobalamin. The figure shown below provides an overview of how the three forms of folate we will be discussing are metabolized in the cell. Basically the diagram shows that there are two major uses of folate in the body 1) Those dealing with methylation reactions and 2) those dealing with nucleotide biosynthesis, e.g., the production of DNA and RNA. The top of the diagram shows that folic acid can enter the cell, but must go through a series of enzymatic conversions in order to accomplish what 5-MTHF and folinic acid can accomplish. The box in the lower middle of the diagram indicates where the MTHFR enzyme deficiency can block the metabolism of folic acid. The diagram shows that all of the important reactions can be accomplished by either 5-MTHF or folinic acid as they can be converted to one another by a series of enzymatic reactions. An important study (see abstract below) has indicated that the presence of a MTHFR enzyme deficiency does not impede the conversion of folinic acid into 5-MTHF. Diagram of Folate Metabolism from the book “Vitamin Analysis for the Health & Food Sciences” by Ronald R. Eitenmiller and W.O. Lander.Jr. While human and animal cells cannot use the folic acid molecule itself in their normal metabolic processes, human cells (principally the liver) can transform folic acid back into many of its metabolically useful folate forms. That’s why folic acid—despite not being found in food—can do so much nutritional good, the best-known example being the prevention of birth defects including spina bifida, cleft lip, and cleft palate. So we believe that it is time to make folic acid supplements a part of history, and use only forms of naturally occurring folate when we use supplements. Although my company does produce a liquid folic acid supplement that has been especially useful for pregnant women who are experiencing gum problems, we have been making the coenzyme form Folinic Acid available for over 10 years and recently introduced the metabolically active form L-5-MTHF. FOLINIC ACID: also known as 5-formyl tetrahydrofolate, is one active form in a group of vitamins known as folates. In contrast to folic acid, a synthetic form of folate, folinic acid is one of the forms of folate found naturally in foods. In the body folinic acid may be converted into any of the other active forms of folate. 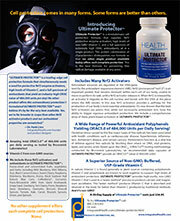 5-MTHF: also known as L-5-methyl tetrahydrofolate has been difficult to obtain until recently. An Italian company has made a patented form available (Quatrefolic®) that is combined with a vegetarian glucosamine. This form is particularly stable and highly bioavailable. 5-MTHF is now readily available on the market, thereby making it possible to purchase at reasonable prices both coenzyme forms of folate. I have taken advantage of this in our Mighty Multi-Vite! multivitamin, which includes both 5-MTHF and folinic acid. Folic acid is not the same as folate. Folic acid presents problems in persons lacking the enzymes necessary to convert it into usable forms. Folic acid can also build up in the body in potentially toxic ways. Supplementing with naturally occurring coenzyme folates, such as 5-MTHF and folinic acid makes sense given advances in our understanding of how the body utilizes dietary folates. Stern LL, Bagley PJ, Rosenberg IH, Selhub J.
Vitamin Metabolism Laboratory, Jean Mayer U.S. Department of Agriculture Human Nutrition Research Center on Aging at Tufts University, Boston MA 02111, USA.